Online Sport Tickets | Location Guide for Travellers. Ticket Price is not the only Factor. In our experience, Cheaper Prices are often negated by higher delivery fees. Getting tickets closer to where you are will often mean reducing the delivery and handling costs. 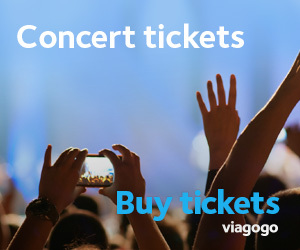 There are a number of other factors to consider when buying tickets. Where is the game you are planning to see? Europe? Might be good to check out the European Ticket Sites. Do you live in the USA and want to see an interstate football Match? It might be cheaper to buy within the USA. We have done the hard work for you of organising our recommendations according to location so you can not only choose the best tickets but also choose from where they will be sent or picked up. Aside from E-Tickets, many Agencies will deliver to your Hotel Room This is extremely helpful for those travelling abroad and wanting to secure tickets for a game ahead of time. With these sellers you can order your tickets before you leave for holidays and then pick your tickets up when you reach your destination. Peace of Mind and Access to Better Customer Service. Not much sense getting your Tickets to the US Open from Denmark if you live in Chicago. If problems arise it is always easier to contact Customer Support from within your own country and speak to people who speaka da lingo. One of the advantages of doing your ticket shopping closet to home is that it is (at least theoretically) easier to get follow up support and customer service if something needs to be changed or corrected with your Ticket Purchase. Would you say Lukasz Fabianski is Arsenals Worst Keeper? Celebrity Sports Diets. What do Pro Athletes Eat?